Great headphones are great. No argument there. But it is possible that you also need a pair of janky earbuds like your life depends on it. The reason is simple: car horns, sirens, bike bells, whatever––tuning these things out is great when you want to enjoy your music unmolested. But who among us hasn't gotten too far into the zone, stepped off the curb and out into the street, narrowly escaping certain death because we simply did not hear that car/ambulance/fire truck? 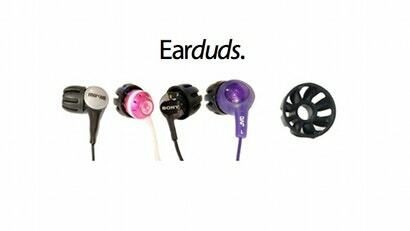 AIRbudz are the perfect solution; built right into each earbud, their slatted air channels allow you to listen to your music without distortion while simultaneously filtering in ambient sound.